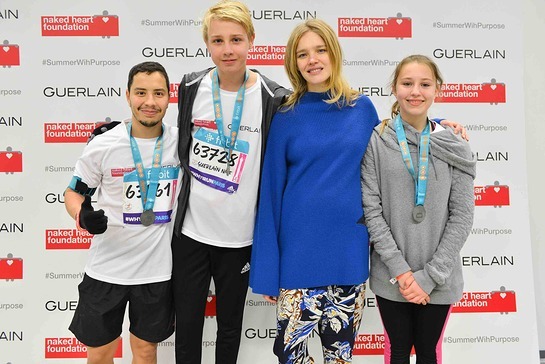 On 6 March 2016, the Naked Heart Foundation – set up by Natalia Vodianova, Guerlain makeup and Shalimar fragrance muse – joined forces with Guerlain to take part in the Paris Half Marathon. This year’s fundraising goal was to continue charity’s “Summer with Purpose” project and organise much needed integrative summer camps for children and young adults with autistic spectrum disorders across Russia. Every March for seven years running, la Maison Guerlain as a committed brand and the Naked Heart Foundation, have been taking part in the Paris Half Marathon. The team this year had 79 runners, consisting of Guerlain and Naked Heart Foundation staff and a number of volunteers, who selflessly raised money for the charity’s work with children with special needs. Laurent Boillot, Guerlain CEO, also took part, and among the other runners there was Naked Heart Foundation trustee Sandra Nedvetskaia, Swiss artist Olympia Scarry, Systems Magazine co-founder Alexia Niedzielski, Museum Frieder Burda curator Patricia Kamp and Natalia Vodianova’s eldest son Lucas Portman. Natalia, who has successfully completed several Paris Half Marathons in the past, personally greeted all the team members at the finish line. The team have managed to raise more than €230,000 in private donations through taking part in the run and there’s still time to support Natalia or any of the other runners on the team’s official fundraising page: www.justgiving.com/teams/summerwithpurpose2016. The “Summer with Purpose” project will provide children and young adults with autism spectrum disorders with an opportunity to enjoy a much-needed summer break. 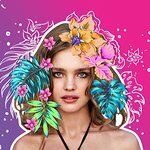 Integrative summer camps, run by the Naked Heart Foundation, bring significant positive changes to lives of people with autism and their families all over Russia. These camps will contribute to the development of their social and communication skills and give them a chance to make friends and have fun in a relaxed atmosphere. The project started in 2015 and provided advanced training to 10 specialists and helped organise 5 integrative summer camps for 57 children and young adults with special needs. Now those specialists are applying the methods and approaches they learned on a daily basis and are training their colleagues and volunteers in working with children with autism.